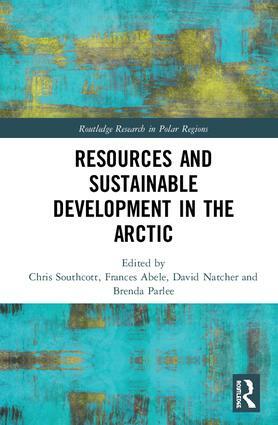 Since the early twentieth century, grand visions of industrial development in the circumpolar Arctic have at times captured the attention and imagination of policy makers and the general public. The periods of high salience for northern resource development issues are many: explorer Vilhjalmur Stefansson’s attempt in the 1920s to convince the Canadian government and the public that a “Polar Mediterranean” could be built in the Arctic based on agriculture and the expansion of cities; post-WWII endeavors by successive national governments to build their own version of a modern north; the resulting hydrocarbon and mining developments in Arctic locations ranging from Alaska to Russia and Scandinavia; and more recent comprehensive planning exercises such as Quebec’s Plan Nord promoting a bright future for the region based on the exploitation of non-renewable resources. By the 1970s, questions surrounding the economic and environmental impact of these projects on northern communities, particularly Indigenous communities, came to the forefront in North America in part due to the public airing of the issue that emerged from Justice Thomas Berger’s Mackenzie Valley Pipeline Inquiry, as well as from the growing environmental movement in the south (Berger, 1977; Nassichuk, 1987; Page, 1986; Sabin, 1995).